My suggestion for any relatively new cross-country ski racer is to build the endurance foundation first, with A LOT of true level 1 volume. The time to do this is in the spring and summer and then come back to it for a short period after the fall intensity block. This allows you to put in major hours on snow and absorb the work you’ve just put in from your intensity training. 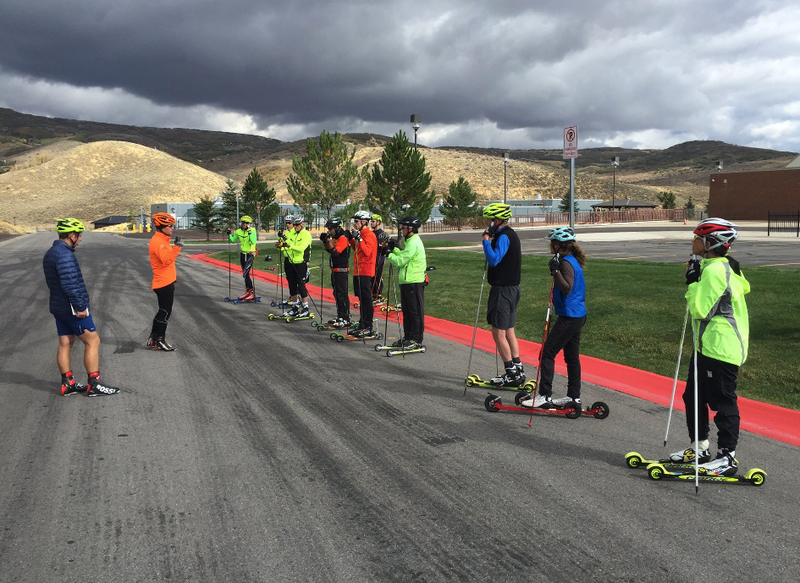 Paying attention to the aerobic foundation is paramount at the beginning of your skiing career because it builds a foundation of fitness that acts as a spring board for anaerobic training. It’s the difference between building a house with a cement basement “foundation” vs. just sticking some plywood and drywall into the dirt. You’ve got to have something to keep you strong and stable. There is a caveat of losing speed however. Therefore, it is advised that you add simple speeds (fartlek) to your distance workouts. For junior athletes I like to surprise them with 15-30 second sprints during distance or over-distance workouts. I like this method because it also creates playful competition which reminds us why we love to mess around on skis in the first place. Alternatively, you can strategically plan sprints into distance workouts, for example, add 5×30 second speeds (take a minute between each to get the heart rate back to level 1) in the middle of a 2- hour ski or run. If you keep distance workouts (with speeds) as the foundation of your training (4-6x a week) and add level 3 and level 4 workouts 2-3 times a week, you should not jeopardize your endurance capacity. In training blocks where level 3 and 4 are the primary focus, make sure you are still doing one over-distance workout per week. These workouts are designed to be at true level 1 in order to build mitochondria for oxygen transportation thus maintaining your aerobic fitness. As for sprint workouts that are effective, I’m a big fan of “mock-sprint days” where you have a qualifier, and three more sprints after that with about 5-minutes of active recovery between them. Not only does this help build anaerobic fitness it also sets an environment for mental preparedness that will get the athlete ready for sprint competitions. Otherwise 1-km relays, time-based ladders, and distance based ladders are other ways to construct sprint, level 4 and level 3 intervals to promote anaerobic capabilities. To train to be a cross-country skier means you are creating fitness in every aspect of human performance. You should think of training as an interplay between strengthening the aerobic and anaerobic systems as opposed to training either exclusively. That said, you may shift your attention to simply emphasize one system over the other, to coincide with the goal of your respective training period.